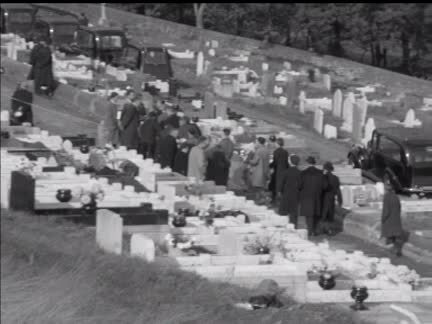 Here is one frame of the footage that I discovered at the AP Archives that had no sound — 5 minutes of film taken at the mass burial of 81 children and one adult on October 27, 1966. Aberfan (7 pianos, percussion, voice and tools of rescue) is a sponsored project of New York Foundation for the Arts (NYFA), a 501(c)(3), tax-exempt organization. Your contribution helps ensure that we can continue to create the studio recording of Aberfan.